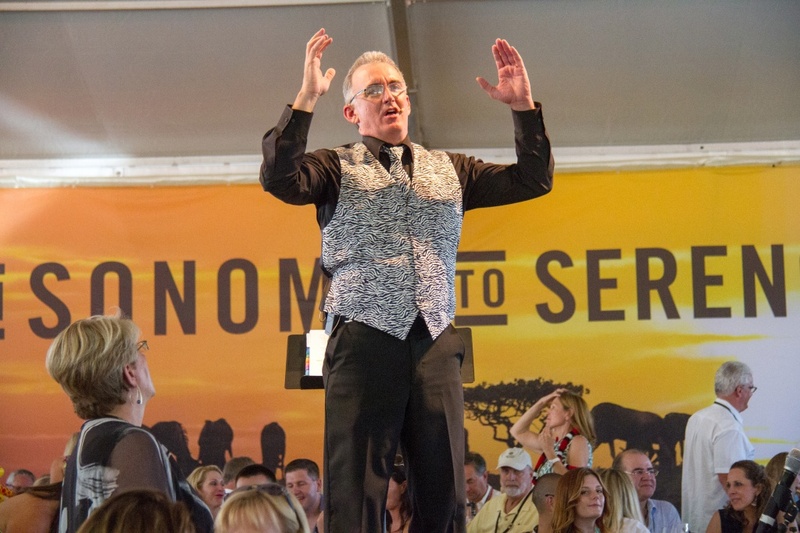 When I began my career as a Professional Benefit Auctioneer some 20-plus years ago, my number one goal was to help charities in need – especially children charities. I thought then, if I could assist charities, schools and organizations raise several hundred thousand dollars a year, the world would be a better place. My mission came right from the heart. Little could I have realized the figure I had in my head at that time would not only be reached, but exceeded way beyond my expectations. Fast forwarding to 2014, my team and I are so grateful to assist each individual charity achieve or exceed their fundraising goals. This allows the charity to focus their good work to help their client base and make a positive difference in their community. After conducting 79 fundraising auctions in 2014, our team was able to help raise a total of $28,150,250 for charities within Florida and throughout the country. That’s a new record. As a comparison, in 2013 our team was able to help raise $21,757,360 and in 2012, $14,853,000. But, let me be clear, we didn’t do it on our own. We’ve had the privilege of working with some great Event Planners, Event Chairs and their committees, volunteers who work tirelessly for months on end, (if not an entire year) to make their fundraiser a success. It truly is an honor to work aside such dedicated individuals who feel so strongly about their mission. In many ways their passion makes my job a little easier. I hope vice versa. Here are just a few of the fundraising highlights of 2014. 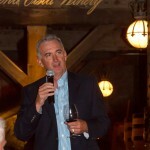 In Sonoma, California, last September my team and I were able to raise $4 million dollars at the Grand Tasting/Auction at the Sonoma Wine Weekend for a combination of children’s charities. One of the identified needs was a literacy program that teaches migrant children, and their non-English speaking parents, to read. This will help the world as these families break the cycle of poverty and become more productive workers and citizens. This is the truly amazing part of our work, and for that we are extremely grateful. The Southwest Florida Wine Festival raised $2.5 million in the live auction and is ranked in the top 5 charity wine auctions in United States by Wine Spectator Magazine. The even better news is the majority of the proceeds are going to help fund the brand new Golisano Children’s Hospital currently under construction with a projected opening date in 2016. 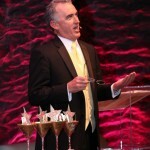 The Celebrity Martini Glass Auction chose 2 worthy charities this year. The first was PAWS, which provides service dogs to wounded warriors. The second was Honor Flight which flies WWII veterans from Naples to Washington D.C. to view the WWII memorial. In 2014 this event, which collects autographs from well-known celebrities on beautiful martini glasses and then connects with an artist to customize the glass, raised over $300,000. That compares to the $21,000 raised at its inaugural event just 4 years ago. Marion Downs Hearing Center in Denver, thanks to a family connection, was able to recruit Donnie Osmond to perform a private concert after the auction, for 300 attendees at the gala. The funds raised at this record breaking event will help this research facility discover new ways to help deaf and hearing impaired children lead more traditional lives. 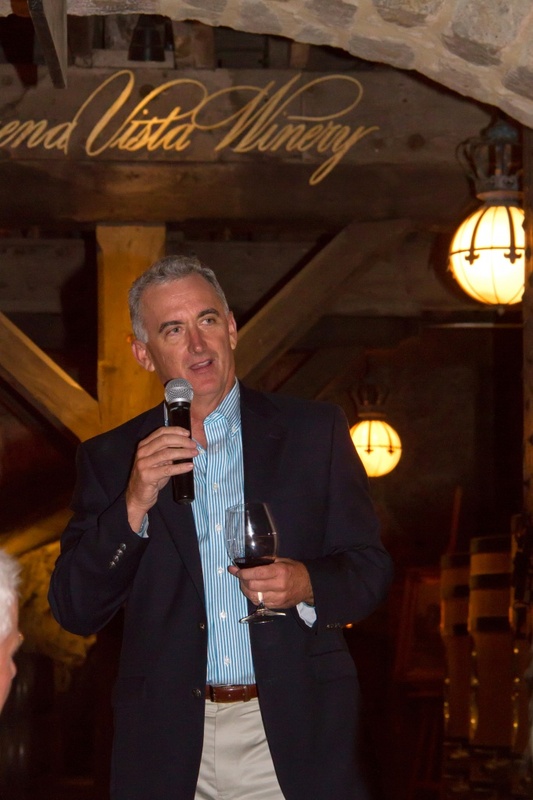 In late September, I traveled to Juneau, Alaska for the Bartlett Regional Hospital Foundation and set a new record for their fundraising auction. This remote city needed specialized equipment to allow patients to “to stay home” during their hospital stay instead going through the stress of taking an emergency med-flight to Seattle. 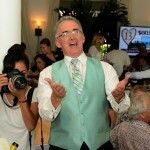 An untimely death of a friend and much beloved fundraising auctioneer David Reynolds left several charities challenged with finding a new auctioneer. When I reached out to his family see how I could help, they scheduled me to conduct three events in San Francisco on three consecutive days. Being able to help David’s family and the charities, was a wonderful experience. Even better news is they have already booked me for the same events in 2015. 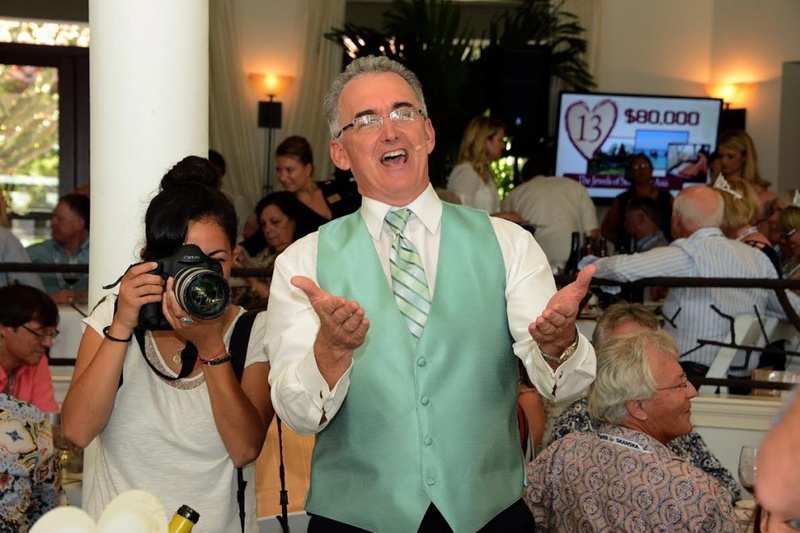 At a fundraising event at Carrolwood Country Day School in Tampa FL, during the special appeal portion of the live auction, over one million dollars was given to jump start the project of building a multi-purpose facility on campus. When this new building is in place, the students will have a gym to call their own, including the ability to host basketball and volleyball games plus social activites. There were so many other incredible fundraising galas that I wish I could mention but there is simply not enough space in this blog. As an active member of the National Auctioneers Association (NAA) I was requested to speak on various elements of “fundraising auctions” at the NAA Conference and Show in July and at the Benefit Auctioneers Summit in September. 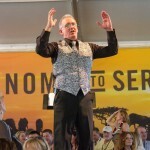 This opportunity allowed me to give back to my profession by working with other fundraising auctioneers on techniques to improve their craft. Which in turn will assist them raise more money for the charities in their respective communities. I look back at 2014 with pride. But, I also know that I cannot dwell on the past. A successful, record-shattering year does not mean the mission has been completed. In fact, quite the contrary. 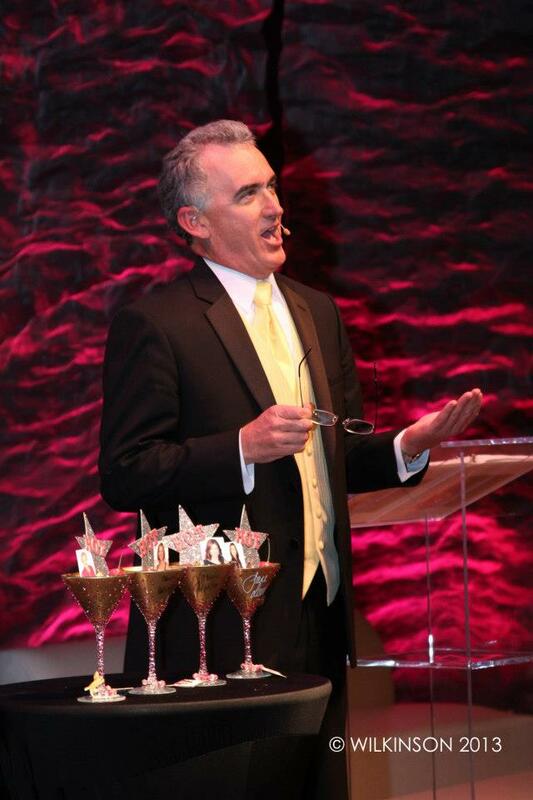 To the charities I’ve worked with this past year – and especially the Event Chairs – I say Thank You! We created a strong and successful partnership. But, it’s a new year. There are many new and important missions ahead. So many families are counting on us. And I’m always here to help. So if you know of anyone who could benefit from my services in 2015 please contact me as early as possible.